Never has a team had a Super Bowl won so many times then conspired to lose it. At three points, Super Bowl 51 appeared over, with each point feeling more definitive than the previous one. 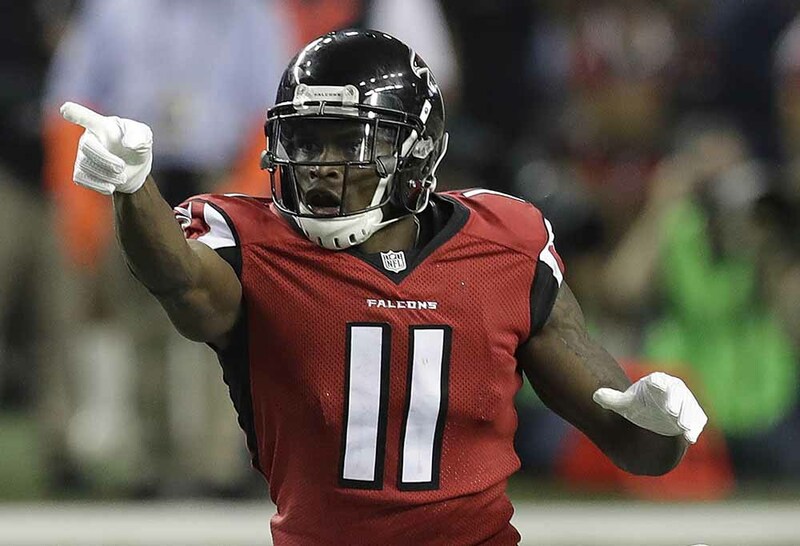 First, there was Robert Alford’s gut-crushing interception return for a touchdown to give the Falcons a 21-0 lead. Early on, Atlanta looked too fast for the Patriots, and Alford painted a perfect, blurring portrait of that advantage, taking Tom Brady’s ill-advised pass to the house. Alford jumped the route then accelerated past the outstretched, futile hands of a diving Brady, 39 years old and made to feel older by Atlanta’s vicious, lightning pass rush. It was young versus old, and the Super Bowl felt like teen spirit. The Patriots regained their composure and looked to have a hint of momentum after scoring at the end of the half and then forcing an Atlanta three-and-out to start the third term. But that momentum was extinguished by Matt Ryan’s touchdown pass to Tevin Coleman to extend the Falcons lead to 25 points. 21-0 seemed insane – 28-3 seemed inevitable. And then, finally, was the greatest catch that never mattered. The Super Bowl has seem some iconic passes over the past decade, whether it was David Tyree, Santonio Holmes or Mario Mannigham on the receiving end. But those passes all existed in the universe. They were improbable, but if you squinted hard enough, they were possible. The windows were narrow, but they were there. Julio Jones had no window, no play on the ball. No way to catch it, certainly no way to bring it down inbounds. On that pass, God said ‘no’ and then Julio said ‘yes’. God backed down. That throw may have been the single worst decision of Matt Ryan’s career (although we’ll soon arrive at another contender). There was nothing there when he threw it, and nothing there when it was in the air. And then Jones made it into something – something magnificent enough it deserved three Super Bowls. But the Falcons couldn’t even get him the one he seemed to make certain was theirs. Even with a beyond comfortable 28-3 lead shattering into a beyond uncomfortable 28-20 lead, the game was over when Jones made that catch. With an eight-point advantage and first down at New England’s 22-yard line with 4:47 remaining, the Super Bowl was finished. Statistical models gave the Falcons a 98.1 per cent chance of winning the game at this point. All they had to do was conservatively run the ball and then set up Matt Bryant for a regulation field goal attempt to stretch the lead to 11, a lead that not even Tom Brady and Bill Belichick would be able to chase down. But just like they did earlier in the quarter on third and 1 when they needed to run but instead called a pass play that led to the game-changing sack-turnover, the Falcons gritted their teeth and put the foot on the pedal when a pair of sunglasses and cruise control were required. There’s just something about playing the Patriots in the fourth quarter of Super Bowls that makes coaches physically unable to call running plays even when all logic dictates that they should. Ryan took another brutal sack, one he absolutely could not take, and then a Jake Matthews holding penalty took Atlanta back to midfield. Somehow, on the biggest set of downs in franchise history, and one where they should have been content with one-yard gains or one-yard losses, the Falcons managed to move backwards 23 yards. Entering the fourth quarter, armed with a 19-point lead, all Atlanta needed to do was not colossally screw up. Playing conservative is antithetical to Atlanta’s high-octane, explosive identity, but what was required wasn’t a paradigm shift – all that was needed was a little prudence and some sanity. It didn’t come, and what eventuated was the most colossal screw up in Super Bowl history. People might point to Pete Carroll’s gaffe in throwing the ball from the one-yard line two years ago as just as mighty an error, but that was a single incident that still required Malcolm Butler to make one of the greatest plays of all-time. What the Falcons did was a dissertation in incompetence, a choke-job that might leave their collective oesophagus broken for decades. Only with a title, one that has eluded the franchise for all 51 years of its existence, will they be able to breathe again. 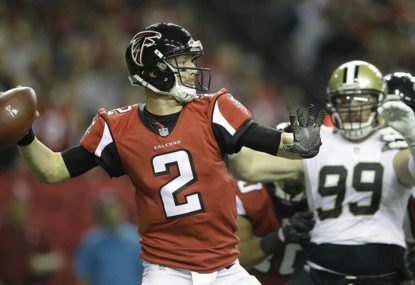 The Falcons were given gifts over and over again – whether it was LeGarrette Blount’s pivotal fumble, Brady’s shocking interception wiping out three Atlanta defensive holding penalties, Stephen Gostkowski missing an extra point, or Julio Jones bailing out Matt Ryan’s dangerous passes into traffic – and still they came away losers. Credit to the Patriots (always, credit to the Patriots) for being good enough to punish them. The story, and the extra-terrestrial brilliance of the Patriots, is not that they were able to somehow assert their championship will and topple their opponents – it’s that once Atlanta stopped shovelling dirt on them, they were strong enough to fight their way out of the coffin and see blue sky. The Falcons were able to bury him, but they weren’t able to Kill Bill. 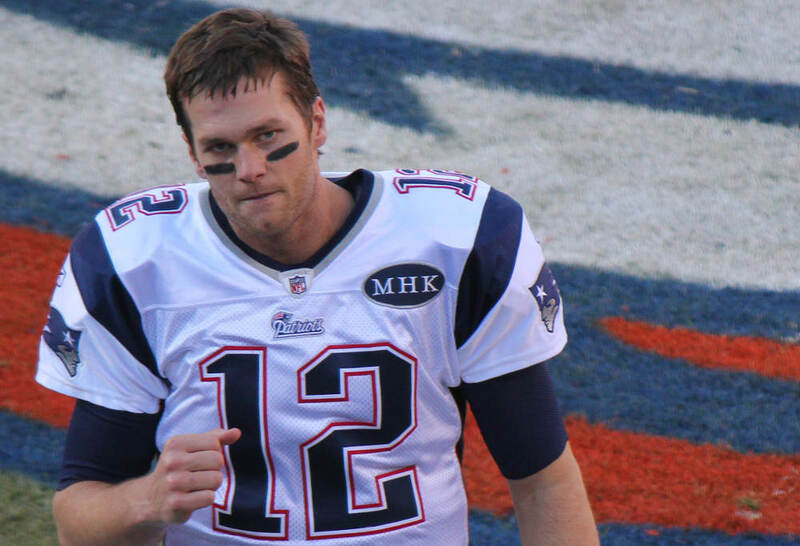 Tom Brady wasn’t anything other than Tom Brady. He is the greatest, and the conversation is done. Adjectives are useless. He is just Tom Brady. It was fitting that the comeback didn’t happen with huge passing plays downfield or screens taken a mile to the end zone. It was surgical, it was methodical, it was inevitable. It was Brady. By the end of it, nothing made sense and everything was a blur. But then you stopped, and you remembered who the architects of this completely non-chaotic chaos were. Brady and Belichick. Of course. The Atlanta Falcons and their irrationality, though, were the vital ingredient. Brady and Belichick are the best we’ve ever seen, but no-one, not even them, could overturn a 19-point fourth quarter Super Bowl deficit without a little help. The Falcons, whether through nervousness or catastrophic miscalculation, gave them that help, and now they’ll go down as one of the most profound losers in the history of the NFL, a doormat for its most profound winner.